Do you know of someone who has demonstrated exemplary actions for the Minnesota Holstein Association? Does someone come to mind that shares their passion and encourages others to be involved in the Minnesota Holstein Association? If so, please fill out a Person of the Year Nomination form by January 25th and email to minnesotaholstein@gmail.com to be considered for the award. 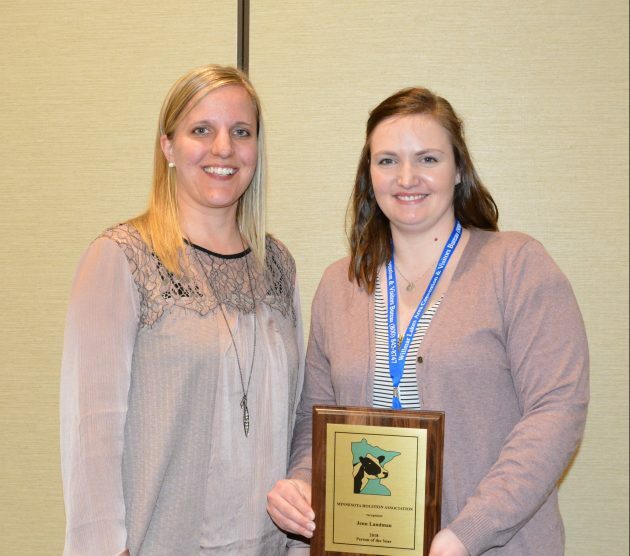 Director Patti Schaefer (left) presented Jenn Landman (right) with the 2018 MHA Person of the Year Award.